Do you want to know how to find the most valuable social media content? Are you looking for great articles and videos to share with your friends and fans? Be sure to watch this edition of Social Media Examiner TV with our host Mari Smith. In this episode, Mari introduces you to the concept of curating content and how it can help your business. And Mari also reviews 8 content curation tools to help you find the best information for your business. Share your feedback, see the show notes and discover how you can be part of a future show below! Use Google Alerts to get notifications of your important keywords. 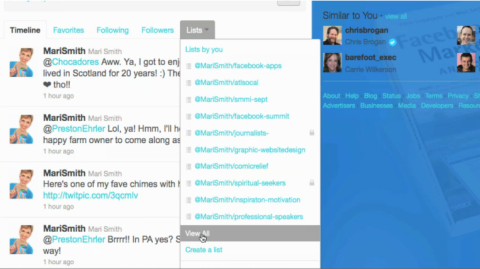 Mari also explains how to use Google Alerts for reputation management with vanity searches. Set up Google Alerts for keywords relevant to your business. 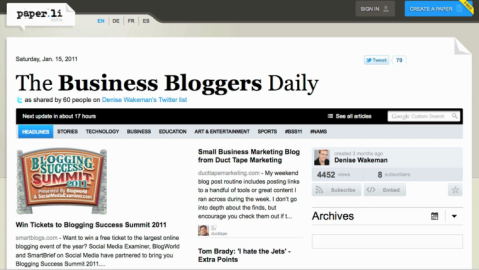 Subscribe to blogs in your Google Reader for better social media management. Get more control over your Facebook news feed with Facebook Friend Lists. Mari shares a great tip on how to make a Facebook Friend List with your favorite fan pages for better content curation thanks to a filtered view of your news feed. 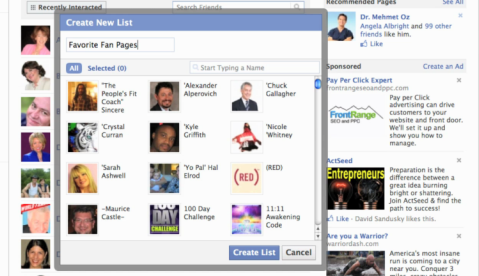 Create Friend Lists of your favorite fan pages on Facebook to filter your news feed for quick content curation. Mari shares how you can create Twitter Lists to curate information from people who consistently share great content on Twitter. Create lists of your favorite news sources on Twitter. You can use HootSuite with multiple social media profiles to make it easier to share the valuable content you find online. Mari gives you some great tips to get the most out of this social media tool. 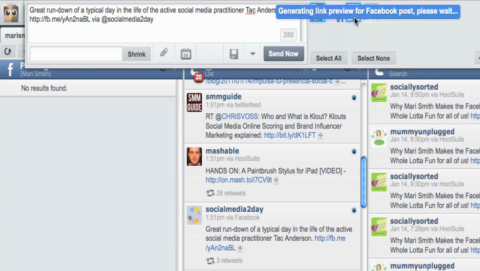 HootSuite helps you curate content and share it across your social network. With Paper.li, you can publish your own virtual newspaper which pulls in information from various social media platforms. Paper.li is an easy way to pull in links from your favorite sources. Alltop curates the content for you by allowing you to create a MyAlltop page to subscribe to your favorite blogs. 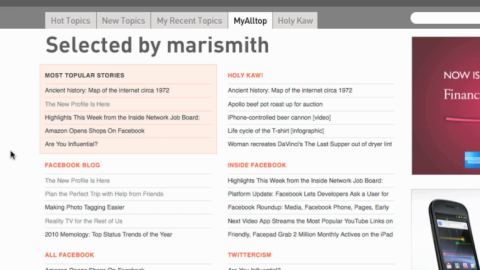 Alltop is a great resource to help you find the best content from your favorite blogs. Flipboard and Pulse are two mobile apps Mari mentions in this video. And she explains why using mobile apps makes it easy for you to curate content on social media. 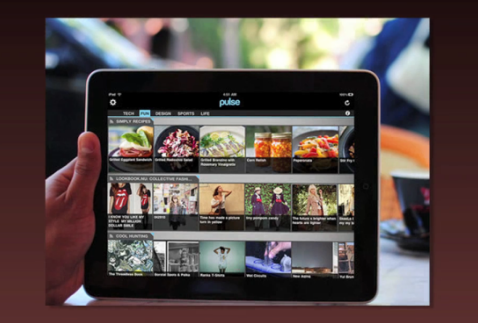 Content curation apps like Pulse are valuable tools to stay up to date. Watch the video to learn more about these content curation tools! And be sure to listen for Mari’s hot marketing tips on how to craft a tweet to get more retweets.